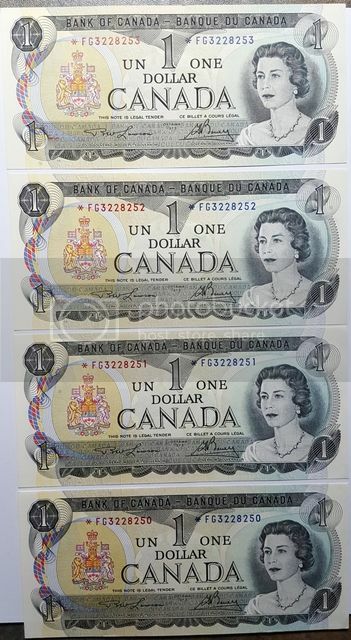 I have the following four 1973 $1 consecutive *FG uncirculated bills. I found the value range for this bill here but how does having four with consecutive serial numbers affect the total value? there are just so many consecutive notes out there.